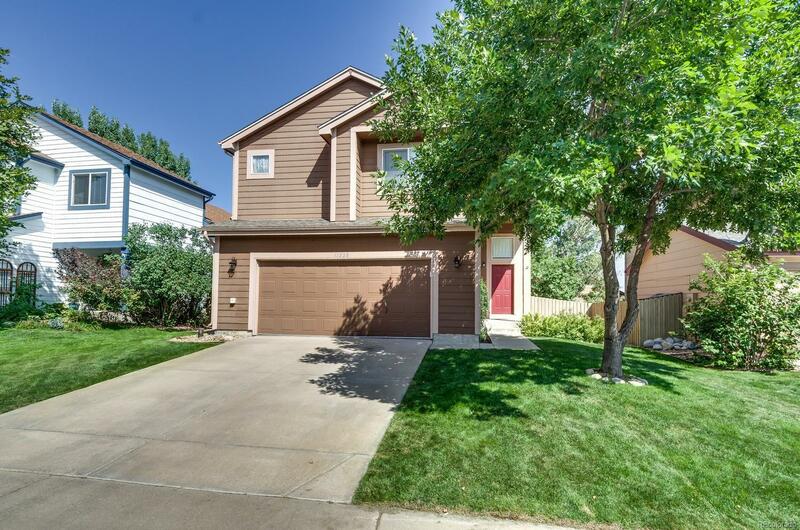 Impressive 3 bed, 3 bath, 2 car garage home in PARKER at a FANTASTIC price. WOW! 1,959 finished square feet with another 960 square feet of pure potential in the basement. Open floor plan with HUGE two-story living room with gas fireplace. Beautifully remodeled kitchen with slab granite, Whirlpool stainless steel appliances. Check out the gas range with double ovens and reverse osmosis water filtration system! Large master suite with walk-in closet and remodeled 5-piece bath. Two additional bedrooms and bath upstairs. This home has been very well kept and is ready for its next owners. Community clubhouse, pool, and tennis courts. Near shopping and top ranking parks/trails/open spaces. Set your private showing soon. Welcome home!